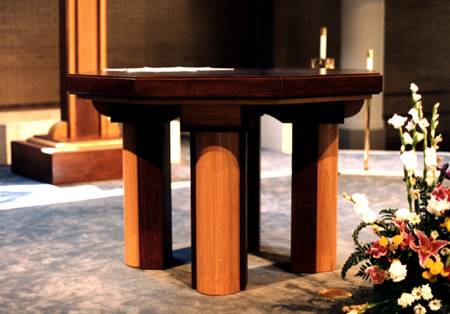 ANDRÉN & KNAPP - FURNITURE, "Altar - Houston TX"
This is an eight sided altar, approachable from all sides. The design is meant to reflect the idea of the altar as a gathering place for the whole community. It matches the previous Ambo.